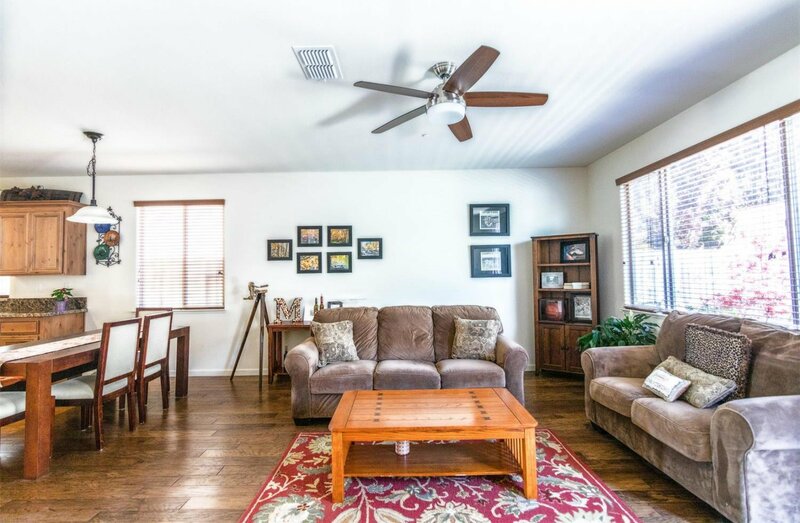 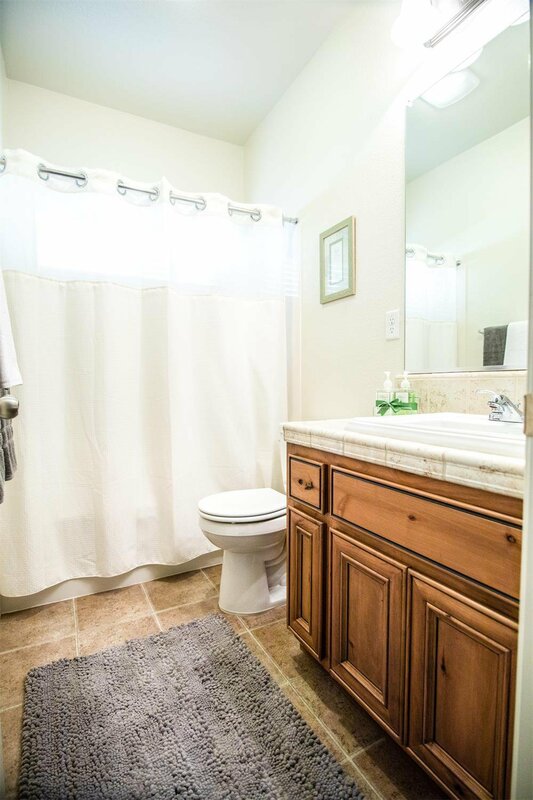 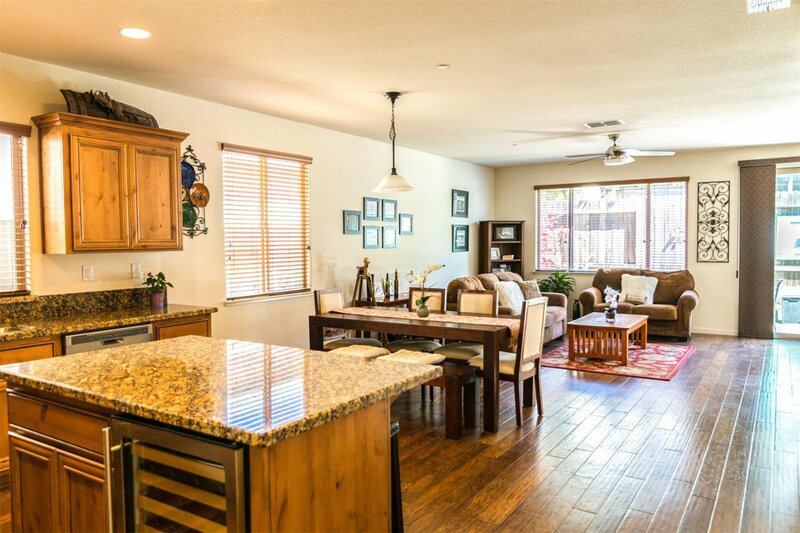 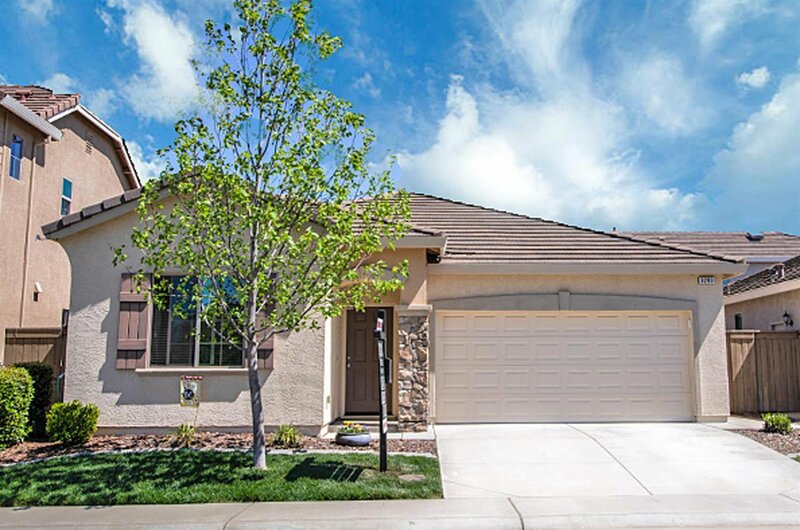 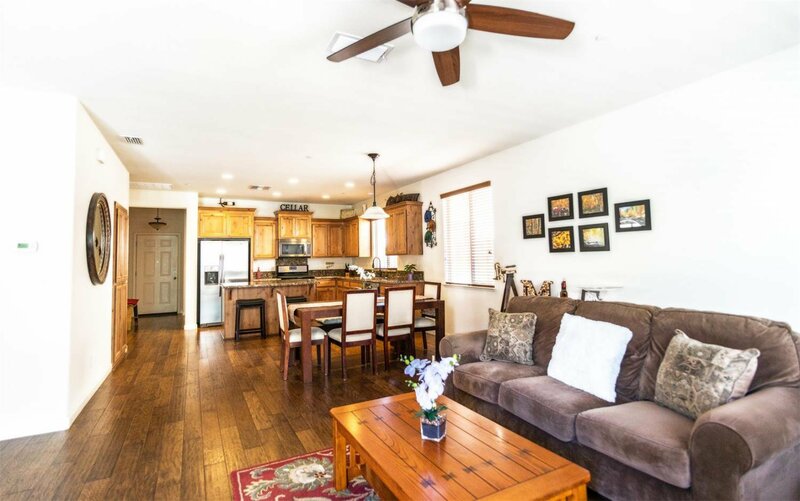 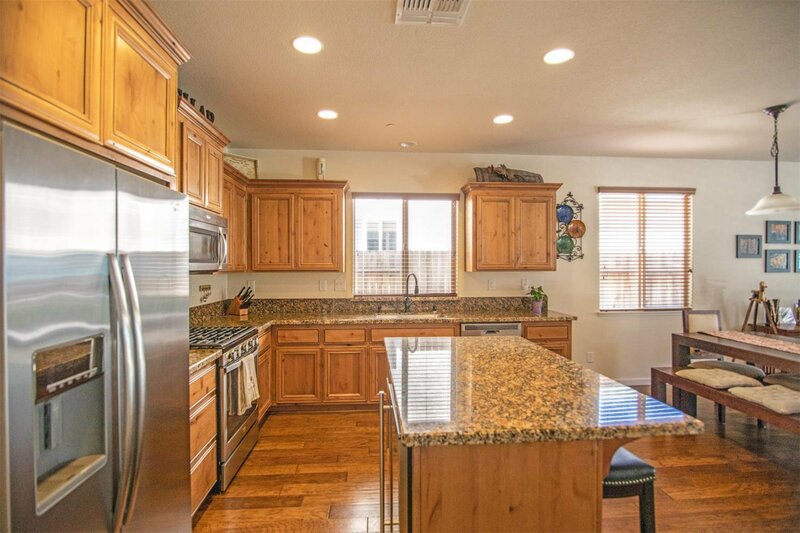 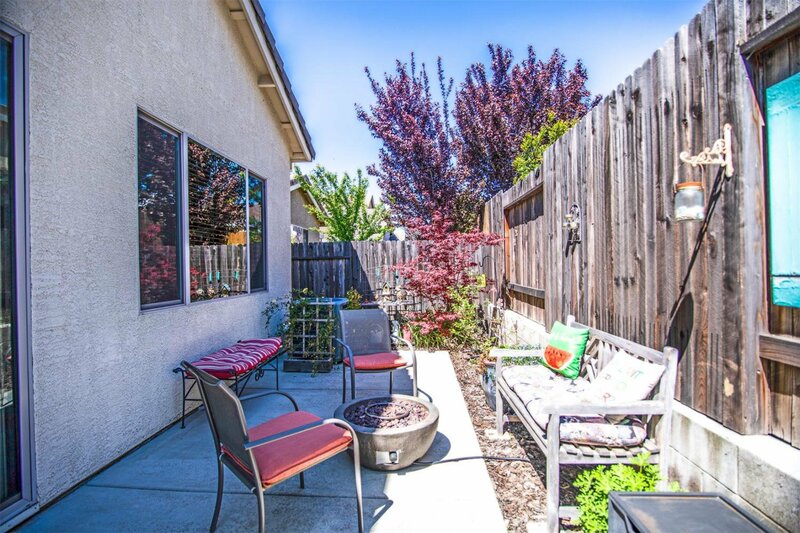 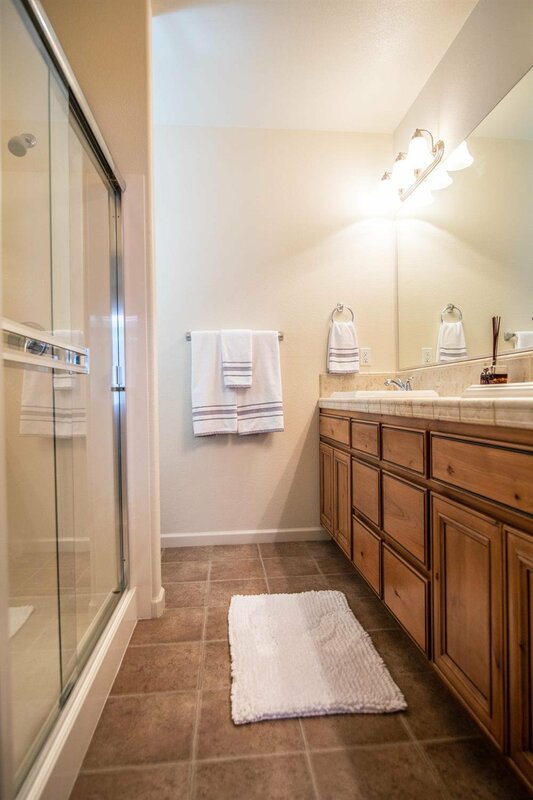 An elegant & unique 2 bedroom 2 bath JMC Home located in The Vineyard, a private Roseville community. 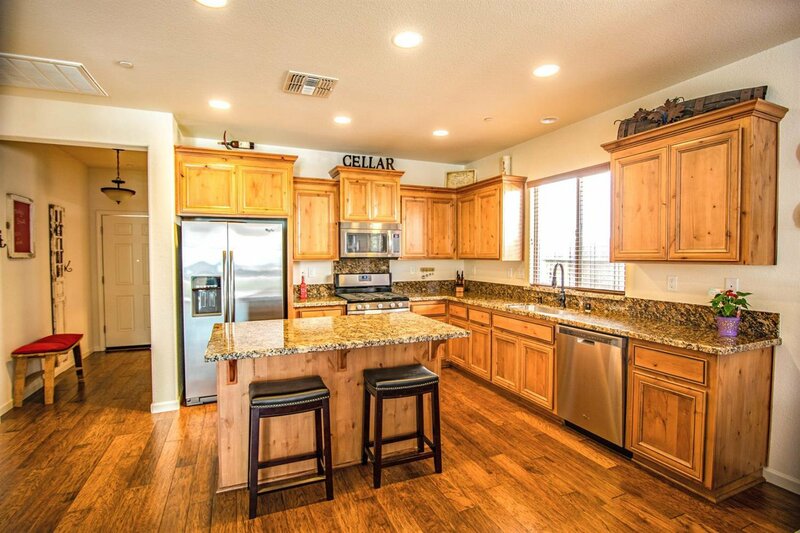 This beautiful home is absolutely immaculate and features an array of upgrades including stainless steel appliances, a 5-burner gas stove, a fabulous 3 zone wine refrigerator built in the kitchen island, gorgeous granite counter tops, a single basin Kitchen sink, premium Alder wood cabinets, and luxury Engineered wood flooring throughout. 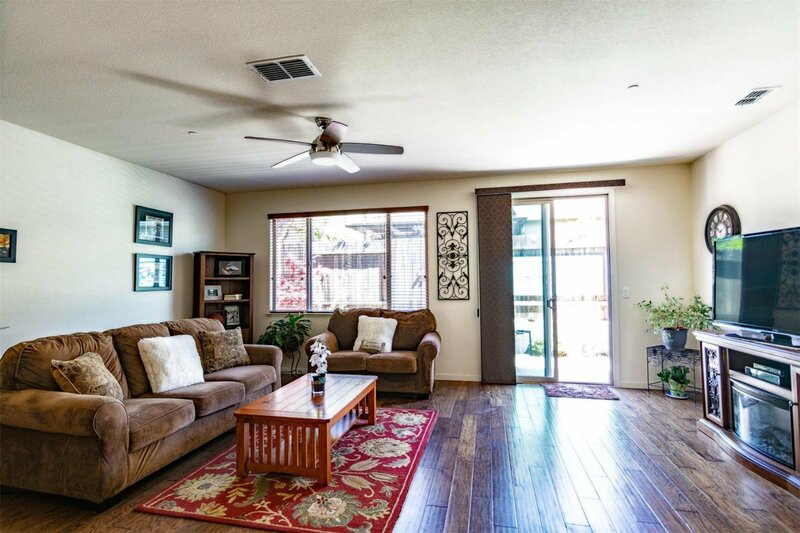 The Open Floor Plan is ideal for entertaining friends & family! 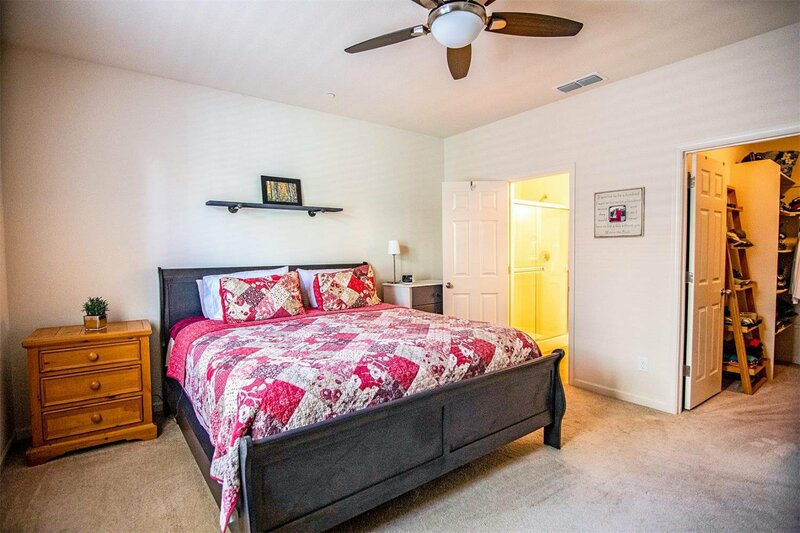 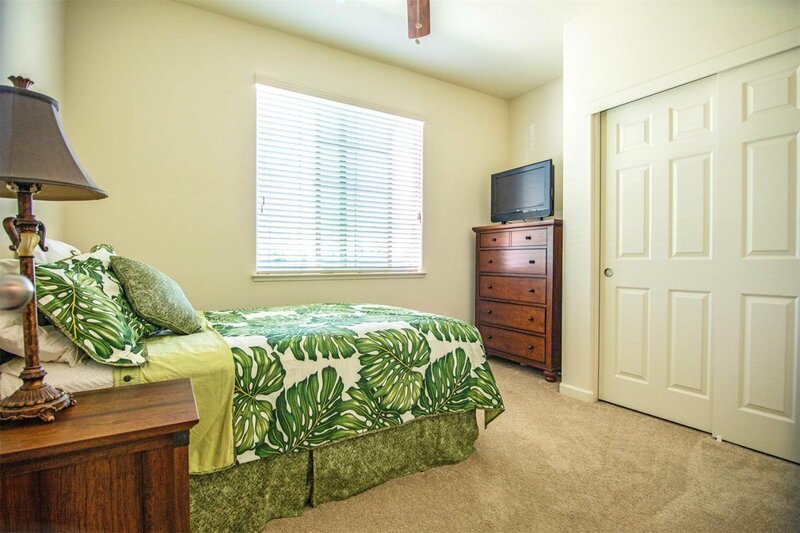 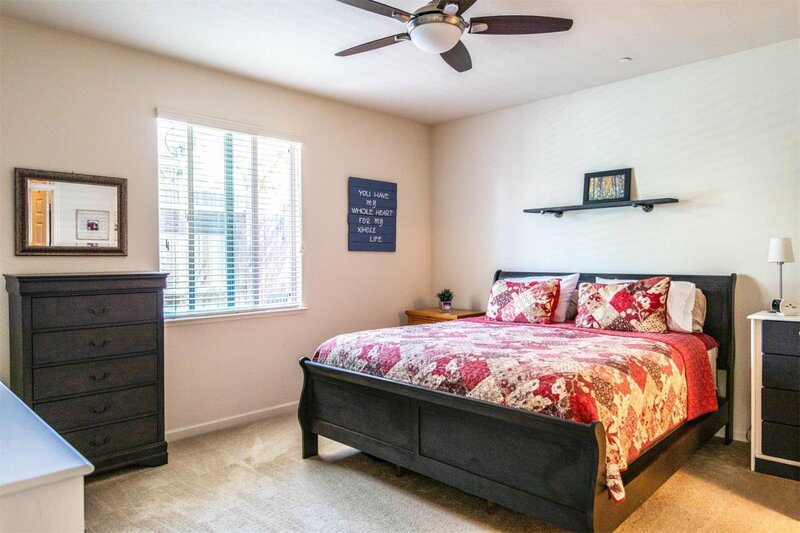 The Master bedroom has been extended and offers a spacious walk in closet, Ensuite bathroom with a large walk in shower and upgraded double sinks. 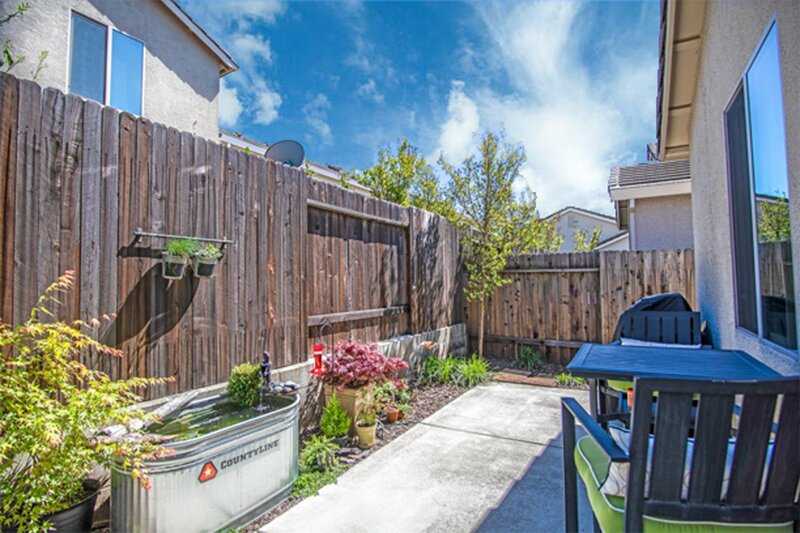 Landscaping for the front yard is taken care of by the HOA and the back is an oasis from the busy world. 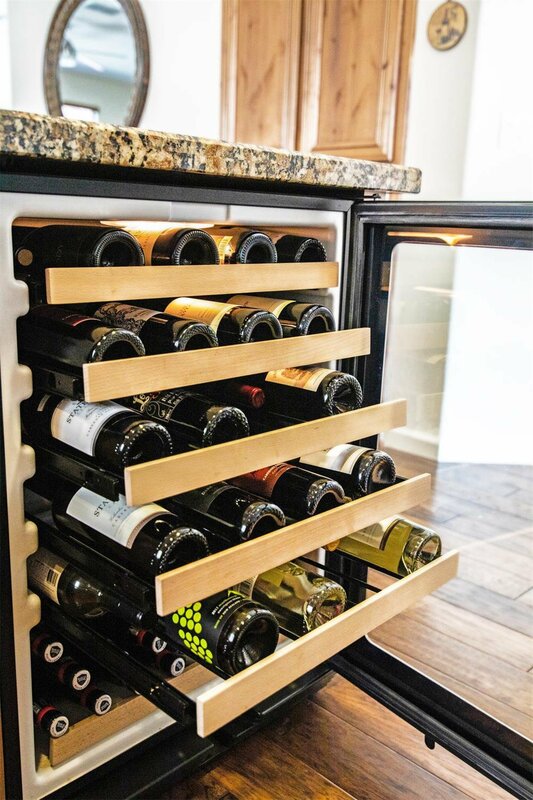 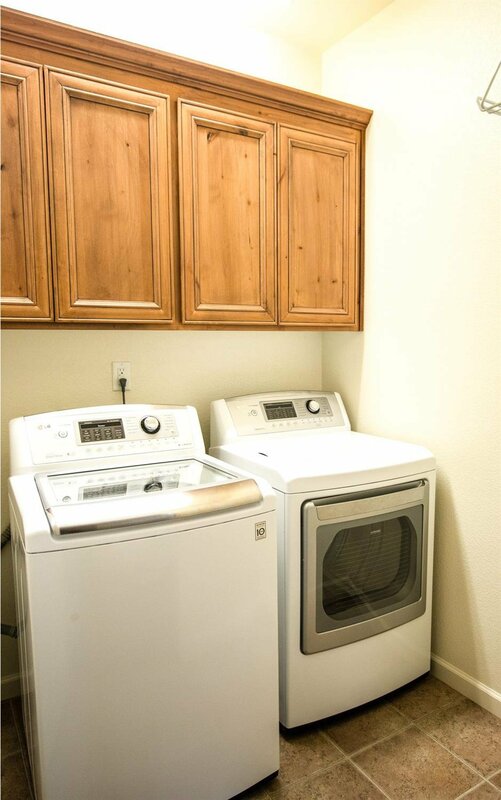 A full two car garage has built in racks for storage and plenty of room for cars and toys! 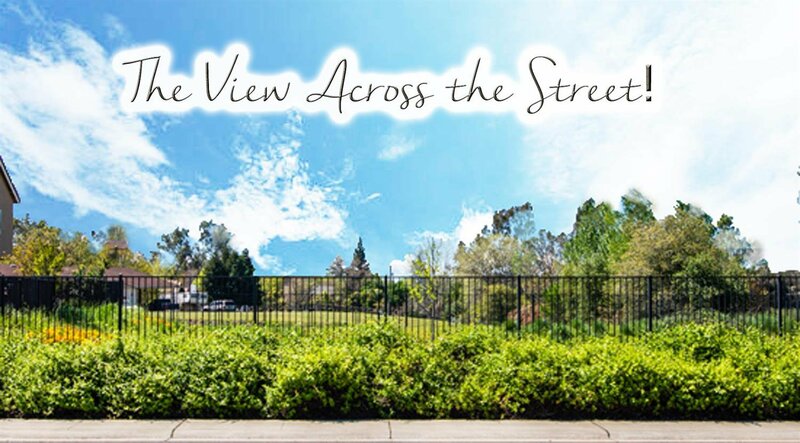 The Vineyard is a gated community that offers a private community park and a beautiful environment to call home!